"It's a safe drug, but it's a powerful drug." Dr. Mark Ware is one of the preeminent physicians in the world when it comes to pain management and treatment. As the director of clinical research at the Alan Edwards Pain Unit at the McGill University Health Centre (as well as an associate professor at the university and the executive director of the Canadian Consortium for the Investigation of Cannabinoids), he's spent the last 16 years investigating how medical marijuana can reduce pain in patients. "I'm a big proponent of the interdisciplinary approach — taking a multiple approach to manage, live and find ways to alleviate some of the suffering that goes along with chronic pain. And the fact is, we are limited with the tools we have to treat pain, both pharmacological and non-pharmacological." Cannabis, for the record, is considered a pharmacological approach, thanks to its active ingredients that bind to receptors in the human body that trigger a response. 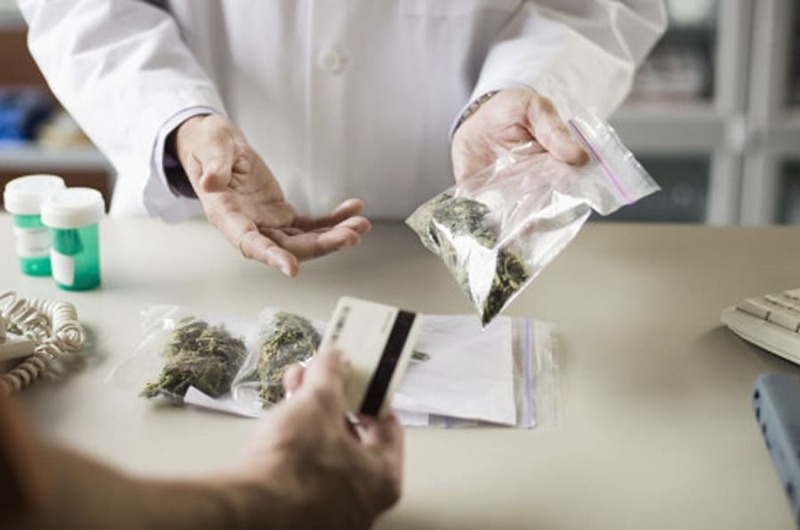 In the latest version of the Marihuana for Medical Purposes Regulations (MMPR) in Canada, which was put into place on April 1, 2014, no health conditions are specified for which medical cannabis can be used. There is a second category, which is defined as "a debilitating symptom that is associated with a medical condition or with the medical treatment of that condition, other than those described in Category 1." That definition meant plenty of frustration, and the change will hopefully make it easier for those who are seeking medical cannabis to get access to it. Keith Mullan, a former Navy officer, told the CBC it took three months — and a lot of paperwork — to get his prescription refilled earlier this year. Veterans are one of the populations that often use medical marijuana to deal with past injuries — Veterans Affairs Canada paid out $5.2 million for marijuana prescriptions for former soldiers in 2014-2015, according to the CBC. "One of the biggest areas of discovery has been PTSD and the nightmares associated with that," Ware says. "What happens with patients is that they've been exposed to some form of trauma, and your brain normally has a way of extinguishing that trauma. For example, somebody who has given birth has experienced a painful, major life event, and you have memories of that pain and discomfort, but the brain has a way of extinguishing it. We have the ability to forget something that was painful because it enables us to do it again. "Someone with PTSD doesn't have that ability to extinguish that memory so it keeps coming back — they get flashbacks or nightmares when they're sleeping so they relive it again. This is an area where the endocannabinoid system has been shown to be important in extinguishing those memories. If that system is not working properly, you have those consistent memories. Cannabinoids can help extinguish those memories in that specific area of the brain." "Cannabis has been touted by many patients over many years as something that helps them manage their pain, and it's come to us through a different route than we normally learn about drugs," he says. "It's a unique situation where we have patients telling us what the drug is doing for them, that from there, we can then study to see if that's true." Everything from the "giggle factor" of stoner weed culture to the legalities of distribution to figuring out exactly how to have people smoke it in non-smoking facilities have proven to be obstacles along the way, but Ware has seen enough results to make him want to keep going. The pain conditions in which cannabinoids have been shown to be most effective are those caused by damage to the nervous system, either peripheral or central. That can include diabetic neuropathy, post-traumatic pain after surgery and HIV-associated neuropathy in the case of the peripheral system, and multiple sclerosis or a spinal cord injury for the central system. "They tell us, 'It doesn't really make my pain go away, but it allows me to focus on something other than the pain,'" explains Ware. "That sounds like, 'Duh, they're stoned,' but these are patients who are trying really hard to function and have normal social and work lives." Ware also notes that small studies have linked cannabinoids to helping with chronic pain syndromes, like fibromyalgia, rheumatoid arthritis and cancer — both the pain associated with the disease, and the treatment. But of course, more research is needed, and the drug isn't for everyone. In honour of Arthritis Awareness Month in September, the Arthritis Society launched an explanatory series specifically for those suffering from the joint disorder who were interested in access to cannabis for the pain. In it, they noted 65 per cent of Canadians who request access to medical cannabis do so for arthritis pain, and went through the various challenges patients can encounter when trying to access the drug, including a physician's hesitation to prescribe it. A 2012 study from the Canadian Medical Association found that 60 per cent of physicians who responded to a survey on the topic would "never" or "seldom" honour a request for access to medical cannabis. But with more research, it's possible these opinions will change, and that's just what people like Ware are trying to accomplish. Ware points out that cannabinoids don't have the same toxicity issues as other drugs used for pain management, like opioids and anti-inflammatory drugs, in that the drug itself in high doses doesn't cause death or major health disorders. But that said, there are other factors to consider when prescribing it to patients. "It's a remarkably safe compound from a purely pharmacological standpoint," he says, "but then you have to take that and apply it to other people who may be taking other medications, or have other conditions, or other interactions. A lot of patients with chronic pain also have mental health issues like anxiety, depression. How is the drug interacting with those conditions? Is it helping or harming? These are important long-term effects that need to be evaluated." According to the College of Physicians and Surgeons of Ontario, marijuana is not to prescribed to those under the age of 25, "unless all other conventional therapeutic options have been attempted and have failed to alleviate the patient’s symptoms." "We don't think [cannabis] causes [psychosis] by itself — most of the time there's some underlying risk factor that cannabis can unmask or reveal. We don't know exactly what those are, but we can't screen for it, so we can't advise who should use it. Conservatively, people set the age at 25, because at that point we think the brain has finished its development. It depends on the age of onset, and how much is being used." One big condition cannabinoids don't seem to touch is acute pain, like a twisted ankle or a toothache. If anything, Ware warns, it can make the pain worse because you become more aware of it. And just because the conditions noted above have been helped by prescription cannabinoids, that doesn't mean any old weed will do. Ware points out the meds prescribed by professionals can have very different effects than street drugs. "I think it's worth thinking about cannabis not as the end game in all of this, but maybe for some people a part of their pain management, especially if coupled with other things like exercise, positive thinking, stretching and the like," says Ware. "I don't think of cannabis as a miracle cure — I think it's a piece of the puzzle that in the right hands can be used to help patients."